Some feedback from Bev Harwood's charity dance on 2nd March 2019.
a bit more about the charity work that your band does. It is always an absolute delight to receive support for our work from groups such as yourselves. The money will really help to make a difference to the lives of the local people that we serve. We provide affordable Counselling for adults and free Counselling and CBT for young people locally. There is a huge and growing demand for our services, so any funds we receive help us to continue providing this much needed service which is life changing, and sometime lifesaving. Thank you again for your generosity and for thinking of Wellspring. It is very much appreciated. Keyboard player Mike Craske presents our donation of £200 to Wellspring Counselling. 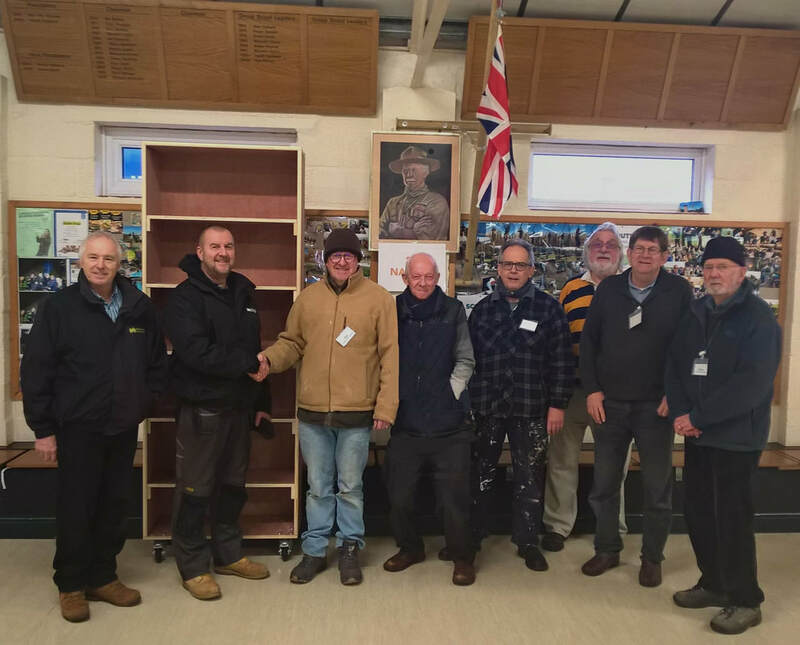 This letter is to thank you — the wonderful "Nailsea Shedders" for the amazing work in constructing and providing us with a new bespoke cabinet for our Care Team Office. The cabinet has been in use since taking delivery — as explained I cannot send a photo because of confidentiality but it does look fantastic! We would also like to say a heartfelt thank you to the Thornbury Swing Band for their incredibly generous donation that funded the materials to make the cabinet, with €45 left over to then donate to CHSW — thank you to Ellis for using his membership of both groups to make this happen! The work you do under the Shedders banner is so valuable to the local community and we are very grateful to have had your help with this project. Thank you once again for being so thoughtful and generous and for helping us make the most of short and precious lives. It is difficult to put into words how wonderful last evening at Armstrong Hall was, everyone was so impressed with your musicians, and I'm sure you could tell by the reception you had, that we all had a really great evening... AGAIN sincere thanks for last evening, your band is just excellent and a credit for all the ‘back room staff’ and all the practising and presentation to detail you all made. I sincerely hope we can book you again. Ginny and I really want to thank you for your wonderful sets at the VE Day Swing for Victory event in aid of Holly Hedge last Friday 18 May. Please can you pass on our grateful thanks to ALL the band. You're all superb and talented and seem to take it up a level each year which I didn't think was possible as you're just brilliant anyway! I thought the number you did (I think it's called "Sing, Sing, Sing"" was fantastic - probably my favourite and the audience seemed to really lap it up. I had a few people come up to me and say how great they thought you were. Thank you so very much for the most wonderful event last night in Easter Compton. It went so well and everybody loved the whole occasion but most particularly the band. It was amazing and please can you pass on my thanks to everybody. It has been such a pleasure to meet you and I hope we will meet again. So many people took your cards and I know are keen to book you. Thank you for such a great evening tonight in Easter Compton. You are amazing! What a lovely atmosphere you created and we all did so much dancing. Many thanks to all the band and support team. Feedback from the VE Day party celebrating the end of World War 2, in aid of Holly Hedge Animal Sanctuary on Friday 12 May 2017. 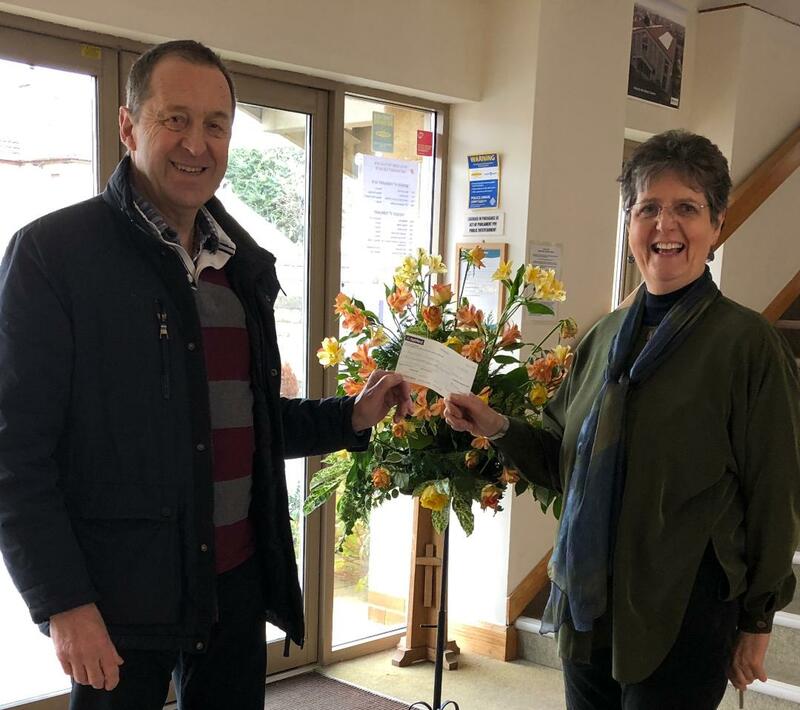 From Beverley Harwood, dancer and organiser of the February 25th, 2017 charity dance, which raised £1085 for mental health charity, MIND. I am sure you are all still shattered from last night. You all worked so hard to make the evening go with a "Swing'. I had many comments last night and also this morning about how fantastic you all are and that they enjoyed the evening. Please can you personally thank all of your band for me, for providing everyone with a truly memorable evening. Let's hope we can do it all again! Please could you pass on our thanks to all the Swing Band. They were absolutely brilliant! Everyone had a great time and we raised £1000! Thank you so much for such a brilliant evening. The audience obviously absolutely loved the band, and Charlie and the other vocalists were amazing. The Festival Committee loved the evening and are absolutely determined to invite you back in the future. We enjoyed your band and the lovely atmosphere that you created involving the crowd with your wonderful music." The packed venue was specially decorated in period style for the occasion, with bunting and tables arranged to give the look of a street party. Beverley Harwood, meanwhile, kicked off proceedings and got everybody in the mood for dancing with a jive demonstration and beginners’ lesson – a fitting warm-up and one that encouraged people to take to the floor later in the evening. This evening a friend and I had Thornbury Arts Festival tickets for the Thornbury Swing band in the Armstrong Hall and really appreciated the fact after having a most pleasant evening. Sometimes we do not let it be known just how much something is enjoyed. So, to the band and the singers and the TAF organiser and all the helpers, a very big thank you. Please can we have them again next year? Thank you all so much for such a super performance at the 'Liddy B Ball'. We have had such a lot of positive feedback about the sound and atmosphere you created. It was a joy to have you with us and we are extremely grateful for the hours of rehearsal you must have put in. We are thrilled that the evening raised almost £3000 for Lydia's charity."